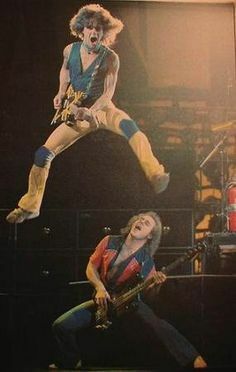 I remember sitting it our 80s Ford Mustang, me pushing rewind on the cassette b/c I wanted to hear JUMP again...and again...and again...I must have driven my Dad nuts. I think I liked that it was catchier than all the other Van Halen songs - more poppy, with the repetition of 'Jump' and the keyboard/synthesizer in front (as opposed to squealin' guitar licks). 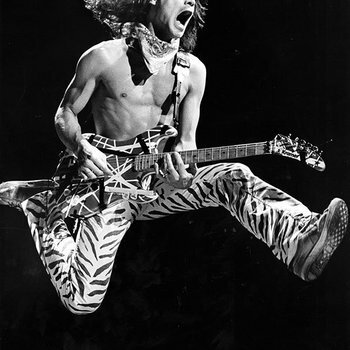 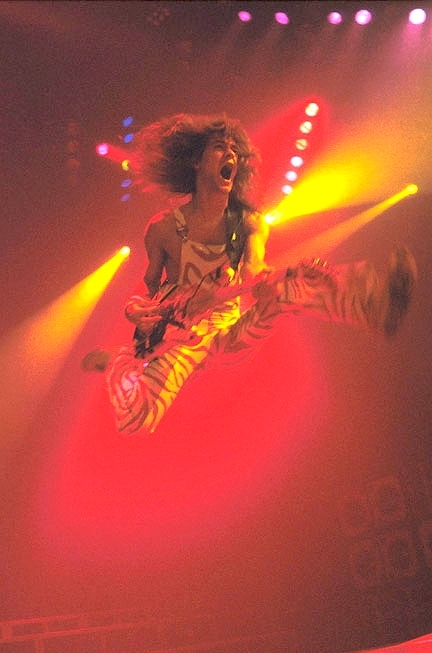 I guess a lot of people felt the same as me, because JUMP was Van Halen's biggest hit - their only #1. And, boy could Eddie jump! Rumour has it David Lee Roth came up with the lyrics after seeing a suicide jumper on the news and thinking there is always one person in the crowd saying 'go ahead and jump'. 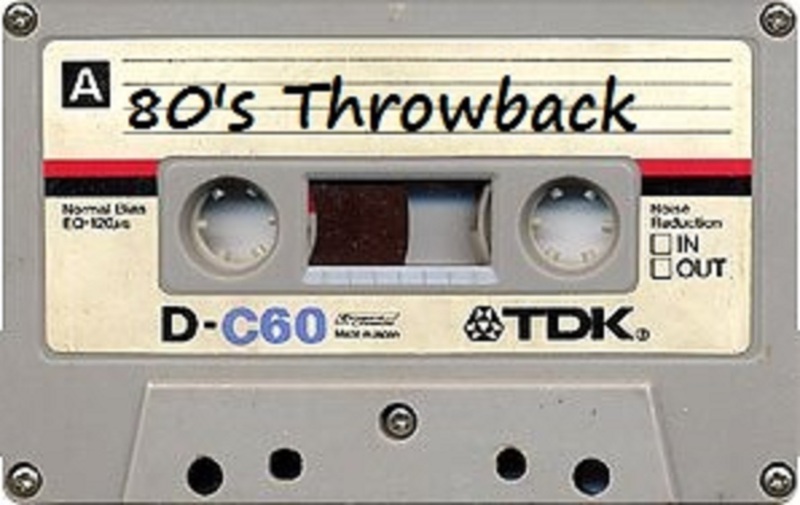 Wow, that is morbid! Other, more positive people, think the song is about love. 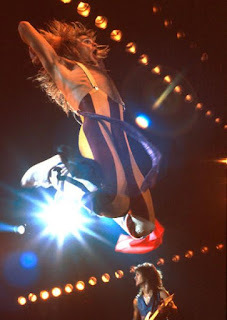 Like, go ahead and jump right into love...ya, right. 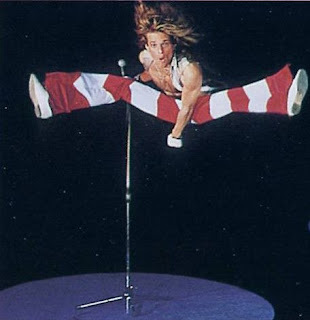 David Lee Roth can really JUMP too! 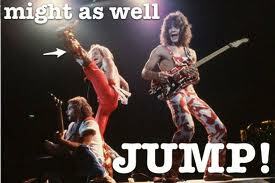 Well known fact is that Jump caused a lot of tension in the band. 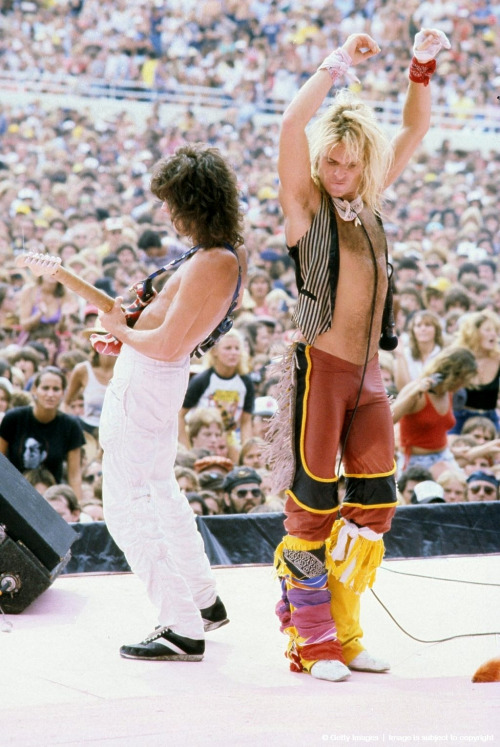 It was drastically different than the music they typically played - and Roth really didn't want to change. This song was the turning point in the band and, apparently, lead to Roth's leaving. 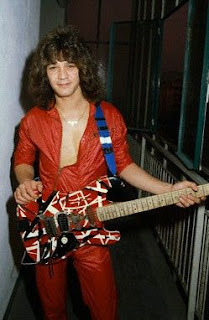 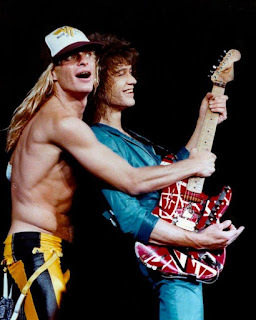 CHECK OUT ANOTHER VAN HALEN MEME PAGE - VANHALEN DUMP (and yes, there is a toilet included)!